Nha Trang was once known as the Cannes of the Orient, and since I spent part of my birthday in the actual Cannes last year (along with Monaco), I thought it’d be a nice synchronicity to spend it in the Cannes of the Orient this year. More than anything, I’m a beach girl, so I planned on 3 relaxing days here to decompress from all of the tours I scheduled in Hanoi, Halong Bay, Hue, and Hoi An and to gear up for my solid schedule of tours in Saigon. I scheduled nothing for this resort town! 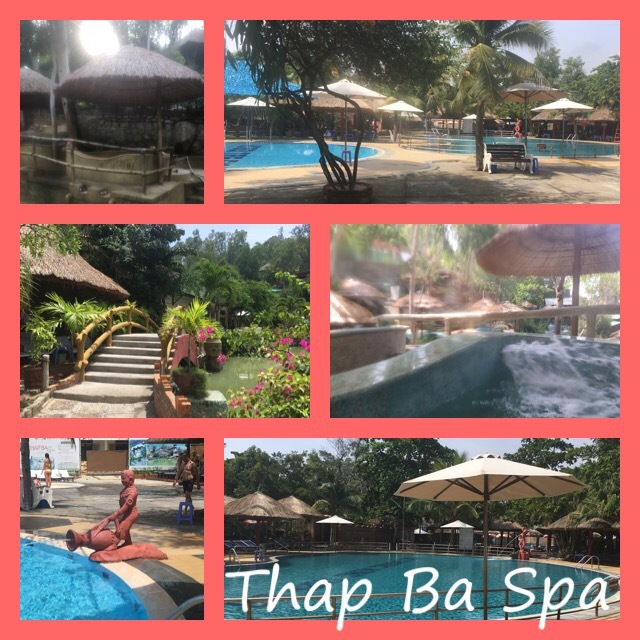 I knew I wanted to hit the Thap Ba mud baths and Po Nagar Cham Towers, which are very near each other and north of Nha Trang proper, so I booked a hotel near a beach (but not on Nha Trang Beach, which is party central and farther away) and near these sites, and it worked out well. It was just built last year (although I’d never have guessed it) with wall-to-wall, floor-to-ceiling windows and a balcony to enjoy the absolutely stunning view! Hopped in a taxi at 7 am (the early bird captures the worm!) so that I could get to the mud baths early. You can pay $6 for a communal mud bath or $25 for a private one. I was banking on being able to have a private one at the communal price if I got there early enough (they open at 7 am). I was there by 7:15 and in a mud bath by 7:30. They fill the bath up with “fresh” mud for you, lol! My $6 gamble paid off. Not only did I have the mud bath to myself, I had all 20 or so communal mud baths to myself! Not one other person showed up until 8:30. It was heavenly because instead of just sitting in the mud, which you’d have to do for space reasons if others were with you, I could lie down and float the whole time. The mud makes you super buoyant! You’re supposed to soak for 15 minutes, and the staff tells you when it’s time to get out. They let me soak for an hour! I was getting out of the mud bath as a Russian family arrived. Next you shower off and then walk through a “human car wash” that sprays you from all sides. Next is a soak in the mineral springs. Again, had the mineral spring bath (one of about 10) all to myself. Soaked maybe 20 minutes or so, then saw that all the Russians were showering, which meant they’d be joining me soon. I was turning into a prune anyway, so I hopped out before the staff indicated I should. That’s the end of the spa portion of a visit to the mud baths. After that, you’re free to head to the other part of the facility, which has two waterfalls you can stand under, an adult pool, two kids’ pools, an everyone pool, and two jetted pools like a jacuzzi but with cool water. There were hundreds of loungers around the various pools and many facing a gorgeously landscaped pond. There’s a restaurant on site, too, and they offer massages. You could easily spend the day there. I went in the waterfall, adult pool (hot tub temp but a full-sized pool), and the cool jetted tub and also hung out in a lounger for awhile and felt ready to head out at about 10:30. I rinsed again and dressed and by 10:50 was ready for my next stop. 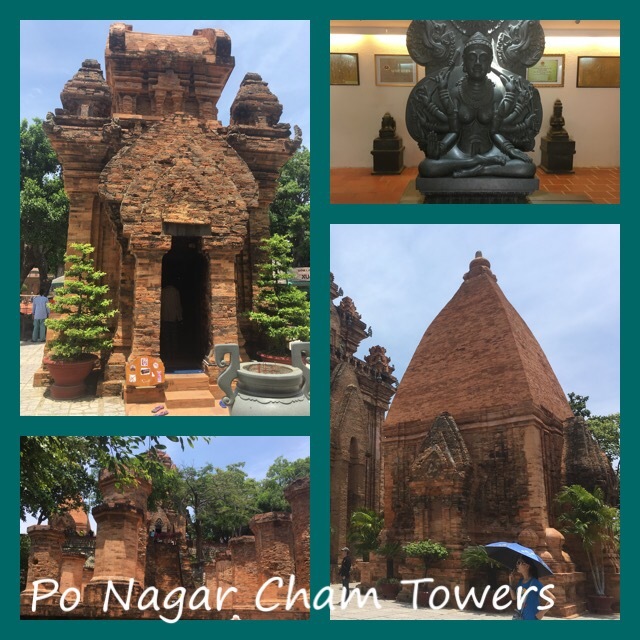 A little over a mile away from the spa is Po Nagar Cham Towers, an ancient temple site built around 700 AD by the Cham people, who migrated from India. I just couldn’t make a trip to My Son (a much larger Cham temple complex near Hoi An) happen, so I wanted to visit this one. It was a letdown. Crowded, more shops and food vendors than actual Cham architecture, and very chaotic. Not the peaceful experience an ancient religious site is supposed to be. I’m glad I did it as the entrance fee was cheap ($1) and I got to see some Cham architecture, but I need to come back to see My Son, which is supposed to be very impressive. I did see a lot of beautiful flowers that I decided to get artsy with, though. After my relaxing morning and getting my two “must-do” things out of the way, I decided I would book a tour for tomorrow (I had two in mind and knew I’d decide today if I wanted to do either one or just chill), so I am going to Diep Son Island tomorrow. I wasn’t sure I wanted to contribute to a beautiful, traditional, unspoiled place becoming “the next big thing,” but I need to feel like I’m in Vietnam again. I like Nha Trang, and it is gorgeous, but it could be any beach resort in any country. 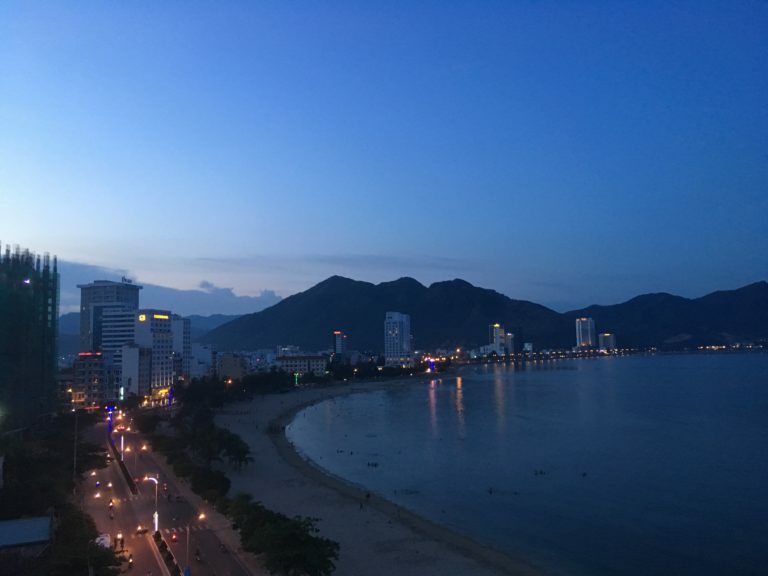 I’ve absolutely fallen in love with this country, and Nha Trang just feels so different that even after just one day here I feel like I need an infusion of the Vietnam I’ve come to know and love because it’s so unique compared to anywhere else in the world. Sheesh! I don’t feel like I’m explaining myself very well! But anyway, I’m hoping that Diep Son will bring those feelings back. I’m missing the unique charm of Hanoi, Hue, and Hoi An like crazy! And even after all those showers, human car washes, and soaks, I am still finding mud in odd places, lol!!!! how i found you on fb, i have no idea, just went with a gut feeling. I got your request! I set the Facebook account up just for this trip! I already have nearly 1700 pics and I still have 4 more days. I wouldn’t want to bore anyone with a screening, lol! I am going to be at Brooklyn Boyz, though. Which reminds me! I need to RSVP! 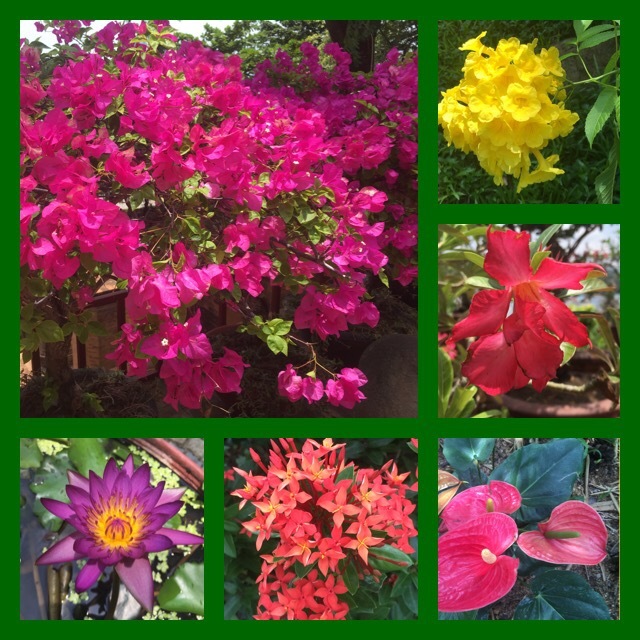 Wow, the flowers are stunning! Almost more so than the architecture, lol! 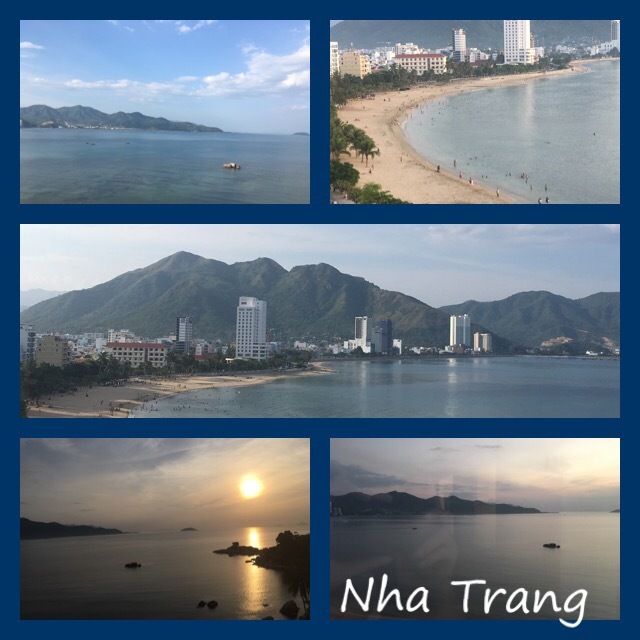 I thought you were perfectly clear about missing the Vietnam that you first met and fell in love with, and that while Nha Trang is also beautiful, it doesn’t have that same feel. And I’m kind of sad that I’ve caught up on your blog … I missed checking in the last few days. I didn’t know Brighton Beach had the Russian-ness! I’m glad you understood what I was trying to say about Nha Trang!